One of the colors I’m asked most frequently about is bright green Ti, and the last drop of green was snatched up quickly. 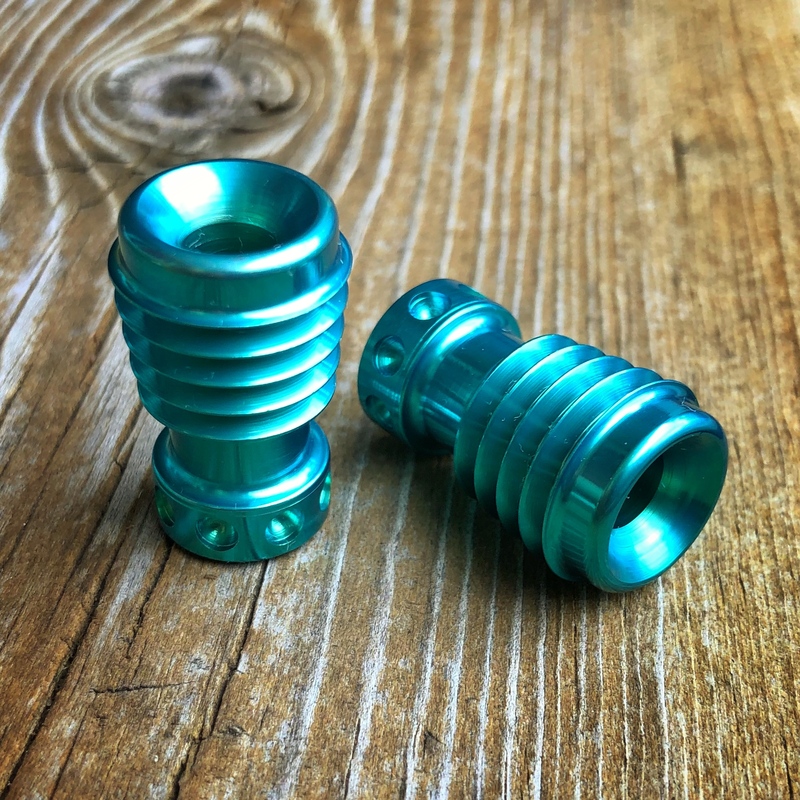 Anyone who has done titanium anodizing knows that green is probably the most difficult color to get and to get consistently. Got my anodizing setup sorted out (kinda) so here’s a small drop of Mk.I-B Blunderbuss in Toxic Green Ti to celebrate. As compared to the drop back in March, these are a little more teal and a little less hazy. Mk.I-B Ray Guns in Toxic Green Titanium are $90 each, shipped to US addresses. US buyers can purchase using the PayPal “Buy Now” button below. Buyers outside the US can hit the PayPal button to purchase and then contact me for a USPS Priority shipping quote at mark@raygundivision.com – Typically this ends up being an additional $15-30 due to Priority International cost, depending on location. Please Note: Shipment outside the US via any method other than tracked Priority or Express is at the buyer’s risk.